Just giving you all a glimpse of how a grad student survives, for today’s Photo365 Challenge. After years of cursing the ad-skipping devil machine known as the DVR and losing a multi-million dollar lawsuit against Dish Network’s ad-skipping Hopper and new Sling technology, at least one broadcast network finally decided that resistance is futile. 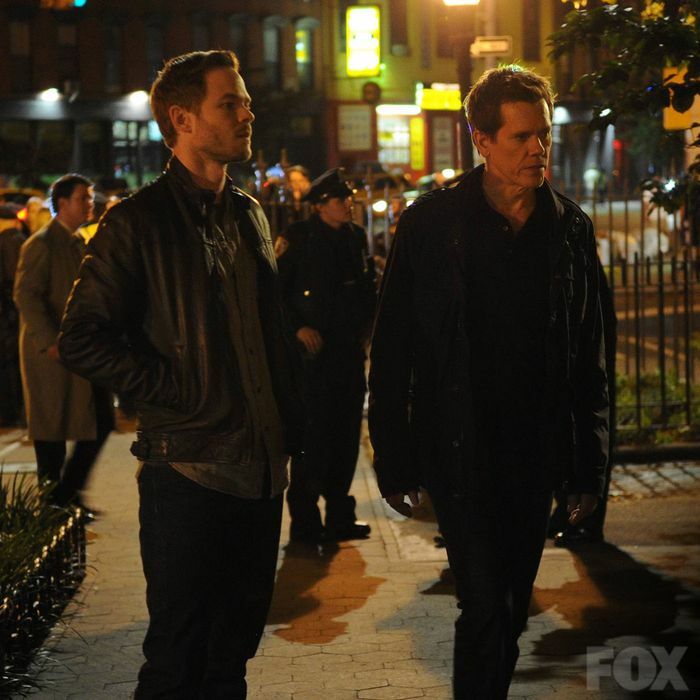 Fox hyped the 2013 premiere of Kevin Bacon’s serial-killer thriller series, “The Following,” with commercial advertisements featuring announcer’s bellowing “Set your DVR now!” in addition to mentioning the show’s live air date. The same sort of reminder for the show can also be found in the network’s print and bus ads, as well as on billboards. However, this might not seem all that groundbreaking to the viewers because DVRs have been a common technology featured in American homes for years. the ones that have pay-TV service also have a DVR. That translates to about 45 percent of all households and is up from 13.5 percent of all households surveyed five years earlier by Nielsen. But Fox’s outright lack of resistance to DVR technology really is sort of radical: Networks really want you to watch their shows live, and until recently, they’ve been reluctant to do anything that might encourage delayed viewing, much less encourage it. The Fox Broadcasting Company, commonly referred to as Fox, is an American commercial broadcasting television network, owned by the Fox Entertainment Group, a division of 21st Century Fox. Launched in 1986 as a fourth television network, Fox became the highest-rated broadcast network in the 18–49 demographic from 2004 to 2012 and in the 2007–08 season was the United States’ most-watched television network. When Fox introduced American Idol in the summer of 2002, the average American household had 102 television channels, compared to a whopping 181 channels ten years later. Other developments in the media landscape, such as the growth of DVRs and Video on Demand services, the development of YouTube and other sources of streaming video and audio, the emergence of new venues for original series, and the massive growth of mobile technology and social media have had an impact on the television industry. 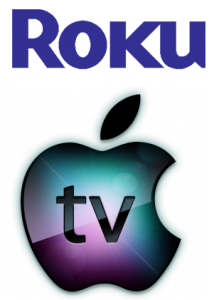 An article at the Hollywood Reporter argued that the television industry needs a “Steve Jobs – like visionary and needs it soon.” While television networks have been slowly adapting to the changes in viewer behavior, they have not been considered particularly viewer friendly. While the film industry continues to see profound changes in the way movies are produced, distributed and monetized, the television industry is experiencing its own major shifts. Viewers have been drifting away from viewing television in real time in favor of recording things on their DVRs and “hopping” through the commercials, or jumping on the cord-cutting bandwagon and consuming series television entirely online or through new technologies such as Roku or AppleTV. Traditional Nielsen television ratings no longer portray a complete representation of the audience for a program, cable channels have caught up with the big networks and more and more outlets for original series (like Netflix, DirecTV and Amazon) are materializing with desirous offerings, tantamount to what’s being broadcast over traditional airwaves. FOX Chief Operating Officer, Joe Earley. Joe Earley, the network poured over the ratings for its new fall shows and one trend stuck out in a big way: almost one-third of all viewers who watched Fox Tuesday night sitcoms did so via DVR, and because those viewers weren’t just sitting back and watching whatever show was up next, other new sitcoms on the Fox lineup didn’t exist. Fox executives thought people weren’t rejecting these other shows but instead were just not watching them. “We began talking about how we might be in a new world where we had to tell people to set their DVRs,” Earley told Vulture in a January 2013 interview with Josef Adalian. 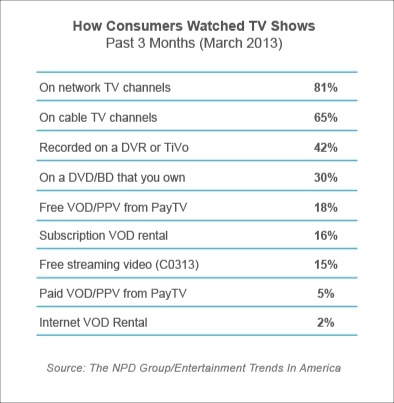 Most television networks use Nielsen‘s Live Plus service to track viewer ratings. 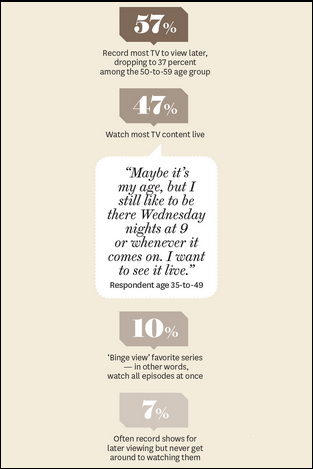 Live Plus depicts who watched shows on their DVRs within different time frames. Generally, it tracks three major categories: Live-Plus-Same-Day, Live-Plus-Three and Live-Plus-Seven, with each one tracking a broader time frame. Live-Plus-Same-Day looks not only at who was watching when the show aired, but measure a program’s DVR viewing until 3:00am local time, that night. Live-Plus-Three and Live-Plus-Seven track who watched within three, and seven days of the original airing, respectively, and although the Live-Plus-Seven ratings are the closest thing to a “true popularity,” from Nielsen, they’re not available until three weeks after the show originally aired. When Nielsen first rolled out its Live Plus service, network executives were uncertain, but it’s become an industry standard. These Live Plus ratings can make a big difference when a large portion of a show’s fans is watching on their DVRs. For more information about Nielsen‘s television ratings, click here, and to hear it directly from the horse’s mouth, click here. Now, armed with Nielsen’s “special DVR data,” television executives are trumpeting the big viewership gains their shows are seeing up to a week after original air dates. This DVR data has become an increasingly important part of the calculations as each network decides which new fall shows to keep, and which to axe. “Sleepy Hollow,” Fox’s fall 2014 millennial spin on Washington Irving’s classic tale (for full text, click here), saw a huge impact on viewership once the DVR viewers were added to the mix. The premiere audience rose from a moderate 8.6 million to a vigorous 13.5 million viewers. Advertising and DVR message integration isn’t the only way in which Fox is dealing with the disruption of the “glory days” of media conglomerate’s business practices and audience viewership ratings. 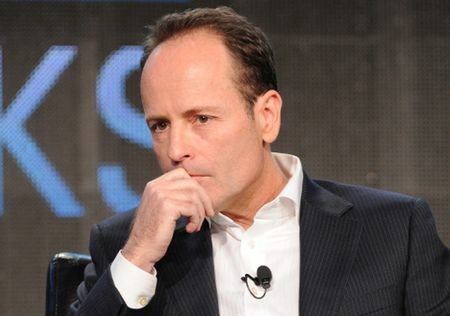 FX President John Landgraf and Fox Chairman of Entertainment Kevin Reilly, are looking at ways to modify their networks, both owned by Fox Broadcasting Company, for a changing media landscape. Landgraf, who is touted as one of the smartest executives in television, by Chief TV Critic Tim Goodman (@BastardMachine) of the Hollywood Reporter, observed that 2013 was a year in which cable series like AMC‘s “The Walking Dead,” FX‘s “Sons of Anarchy” and A&E‘s “Duck Dynasty” were in the 20 most watched shows, and that scripted series, were particularly exploding. 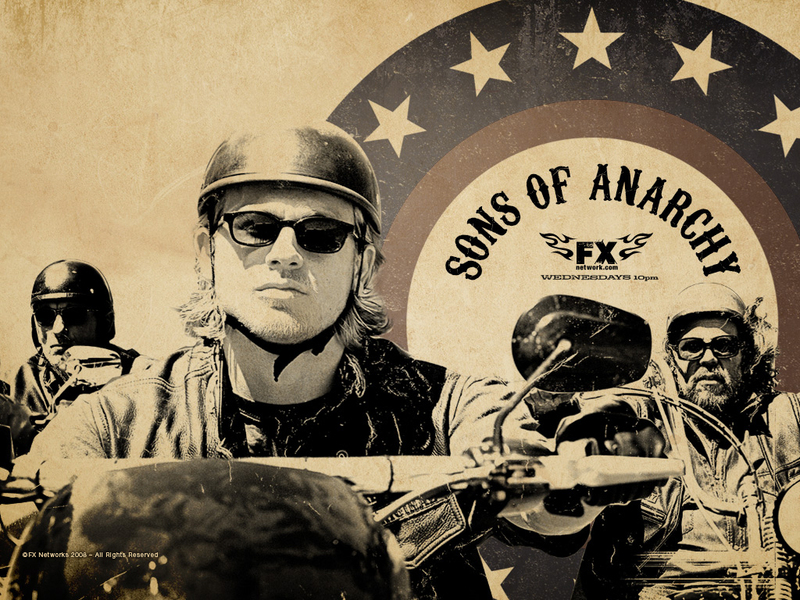 FX Original Series “Sons of Anarchy,” starring Charlie Hunnam. Rather, the chief obstacle he sees is that as viewing habits change, the networks are experiencing a huge loss of advertising revenue. For example, FX’s original series, “Sons of Anarchy” season premiere earned over five million adult viewers ages 18 to 49, but only two million of those were watching it live and only three million watched the commercials. FX’s response to this disruption has been to create an On Demand streaming service called FXNow, but also to produce more of their original programming. Landgraf argued that television series are no longer “a disposable medium” in which the shows are made predominantly for the viewers that watch it in real time. ”Now I think we’re making shows for posterity,” he told Indiewire. 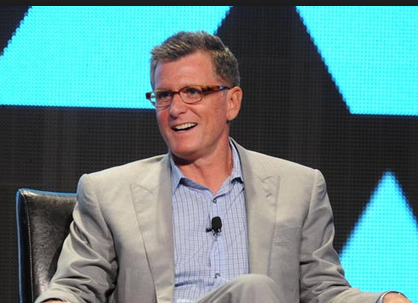 FOX Chairman of Entertainment, Kevin Reilly. 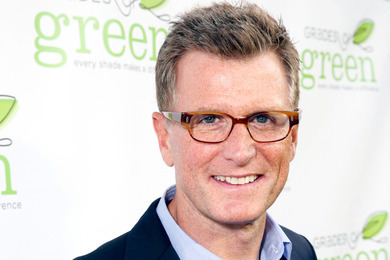 One of the ways Fox is dealing with the changing realities of the TV landscape is by bypassing the traditional pilot season, according to Kevin Reilly, Fox’s Chairman of Entertainment. Networks normally take pitches for new television shows in the early summer, order scripts in the early fall, and pilots in January. However, most of these pilots never get any closer to becoming a new series September or January. Fox’s aforementioned surprise hit of fall 2013, “Sleepy Hollow,” was a 13-episode season, and they’re not currently looking to change the number of episodes ordered for its second season. “I think for most shows and dramas in this day and age, it’s better for the audiences to focus and to do shorter orders,” Reilly said. “Many dramas are just better creatively on a shorter-order pattern.” However, this year’s change to the scheduling system means, Fox will be starting next year’s production of “Sleepy Hollow” in March and will be months ahead of any other network, according to Reilly. Fox Broadcasting Company has also caused the media landscape some disruption of its own by being one of the first networks to honestly address the issue of diversity in television programming. Fox initially began talking about diversity as a business imperative three years ago; shifting the conversation to the need for TV programming that reflects the multicultural reality of today’s world to keep younger viewers. It has since held annual conferences on diversity, telling top show producers that their casts and crew had to feature more people of color. The Deadline Hollywood blog reported on the 2013 event, held this past October for more than 150 people including representatives from the top talent agencies, Def Jam Recordings co-founder Russell Simmons, and top executives from several Fox television, film and business divisions. Television viewers are more likely to watch shows that employ racially diverse casts and writers, according to a study done at UCLA’s Ralph J. Bunche Center for African American Studies. The study is the first in a series of analyses that will be done for the center’s Hollywood Advancement Project. The project will track over time whether the TV-and-film industry is “employing diverse groups of lead actors, writers, directors, producers and talent agents, and it will identify best practices for widening the pipeline for underrepresented groups,” according to its website. In an analysis of more than 1,000 television shows that aired on 67 cable and broadcast networks during the 2011–12 season, UCLA researchers studying racial diversity in the entertainment industry found that more viewers were drawn to shows with ethnically diverse lead cast members and writers, while shows reflecting less diversity in their credits attracted smaller audiences. “Diversity is the new ka-ching. “Not only are you going to have more chances of a show being made here, more chances of a show being a success on TV, more chances of making it into syndication, more chances of a show selling globally and making you millions of dollars, but you are going to bring more viewers to our air and keep us in business,” Fox Broadcasting COO Joe Earley announced to the “Seizing Opportunities” diversity event guests at Zanuck Theater on the Fox lot in 2013. “Fox has managed to quietly introduce some of the most well-rounded roles for black men in the last decade—and this year’s slate of new shows goes even further. Outside of Shonda Rhimes’ deliberately diverse casting on ABC, Fox is the least whitewashed broadcast network of the four heavyweight media giants, and it hasn’t stopped there,” wrote Sonia Saraiya (@soniasaraiya), Assistant TV Club Editor for the A.V. Club blog, in a November 2013 article. Fox’s new revolutionarily diverse casting work has created some of the strongest and most refined roles for men and women of color in television, and has helped to produce critically acclaimed shows that are garnering significant viewership and accolades for their focus on authenticity and complex character. 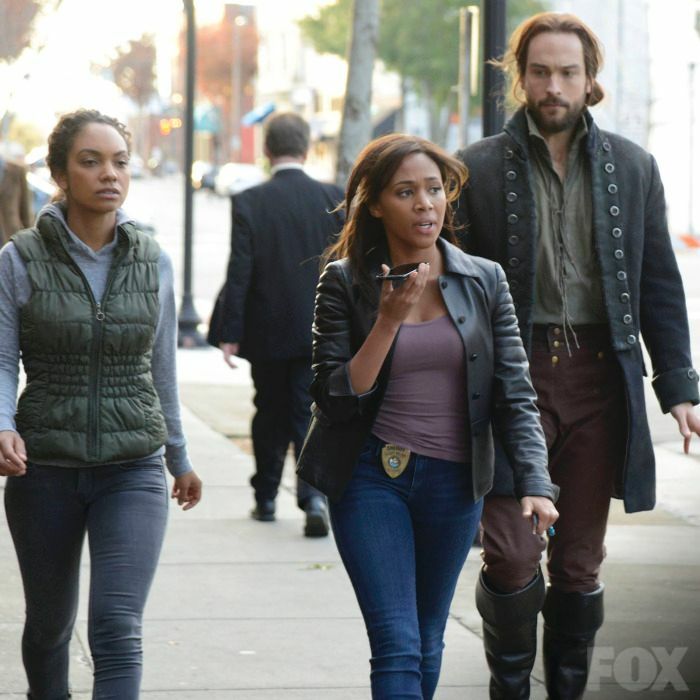 “Sleepy Hollow’s” supernatural drama, complete with a Four Horseman of the Apocalypse crime fighting plot, is anchored by the character of Abbie Mills. A strong, young female police officer, played by an up-and-coming African-American actor, Nicole Beharie, the character gets to kick down doors, carry her trusty sidearm, and play a skeptical but smart lead role. The Fox Writers Intensive, a highly selective writer’s initiative held at the Fox Studios in Los Angeles, CA, from January 2014 through May 2014, is just one of the many strategies Fox is employing to help maintain its multicultural perspective. The Intensive is designed to introduce experienced writers with unique voices, backgrounds, life, and professional experiences that reflect the diverse perspectives of the Fox audiences to a wide range of Fox showrunners, writers, directors, screenwriters and creative executives. 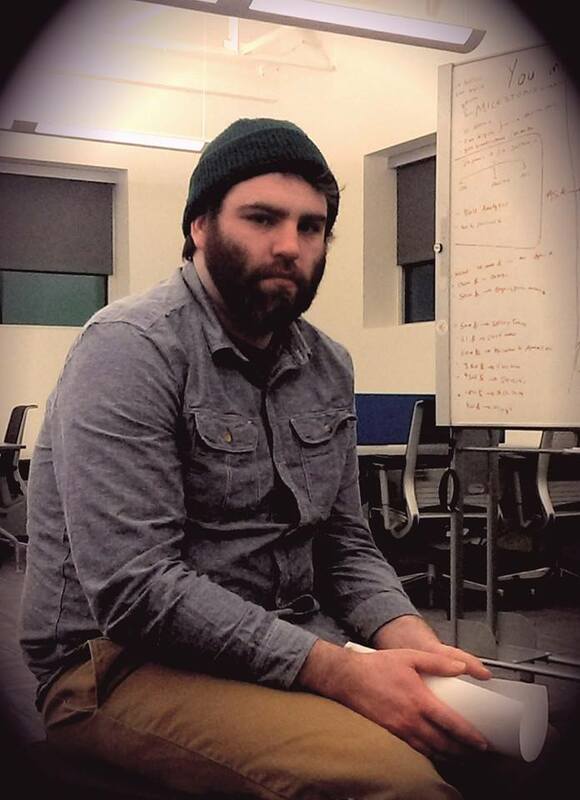 “These collective individuals work with the selected writers in a series of master classes to build on both their general craft and further their skillsets in the business of writing for television, feature films and digital content, according to the Fox Writer’s Intensive FAQ on its website. Technology never remains static for long and often moves in unexpected ways, as we’ve seen in the television and news industries. This case study addressed some of the ways that Fox has modified its schedules, strategies, and behaviors due to the variety of transformations broadcast has gone through in the past decade with satellite, cable and on-demand irrevocably altering our viewing habits. However, more recently mobile is starting to transform the face of broadcast and the on-demand model that we have quickly become accustomed to will soon to be complemented with “on-the-go” and “interactive” models, enabled by the ever-increasing sophistication of mobile solutions. With the number of mobile-connected devices soon due to exceed the number of people on earth, broadcasters must respond to even more changes in viewing habits to meet consumers’ expectations of experiencing a more engaging, interactive and tailored broadcast experience. It will be interesting to see what new techniques Fox will employ in order to continue to adapt in the continuously changing media landscape and to any new disruptions caused by the extreme growth of new mobile technologies. “Choose a topic of focus for this class, or what journalists might call a “beat.” It is VERY IMPORTANT to choose wisely, so put some serious thought into this. 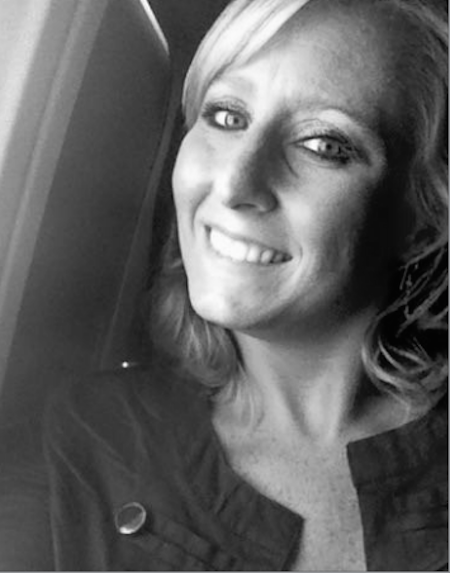 Choose a subject you are interested in and passionate about, personally or professionally. This could be anything from bowling to city/county school consolidation to local bakeries to the Memphis hip hop scene to the aviation industry to a particular company, industry or cause you are interested in promoting and/or understanding. Consider your post graduation goals, but be sure you genuinely care about the subject. It will be critical for you to narrow your topic as much as possible. Anybody can “use Twitter” or “use Facebook” – it is technologically very easy to do. The trick is to use it productively when you have a specific professional goal. One of your goals will be to develop your ability to create interesting and informative content around a particular subject. But a bigger goal will be your ability to cultivate a community around this topic, to listen to what others have to say and engage your audience. My Topic Blog will be titled TN Liberty, and will be a forum in which to share information about news, events, politics, and laws concerning the state of TN. All conservative and liberty-minded activists, students, campus and community leaders, and voters, will be encouraged to contribute. TN Liberty, will also be a location for resources concerning bills up for approval, TN Congressional representative’s contact information, statewide and county events, activism advice, mentorship, and grassroots training, among other issues as needed and requested. TN Liberty will serve as an extension of the TN and MS Leadership page on Facebook and may ultimately be followed with a MS Liberty blog.